You are here: Breast Imaging/Michael D. Carroll, M.D. 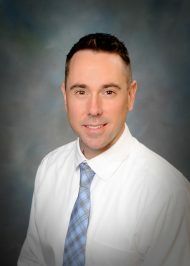 Dr. Carroll received two separate undergraduate degrees at the University of Colorado and California State University in both the art and sciences. He is a graduate of Chicago Medical School, at Rosalind Franklin University of Medicine and Science. His post-professional training has included transitional medicine residency in Chicago and radiology residency at the University of Florida. He has attained his breast imaging fellowship at University of North Carolina, in Chapel Hill. Dr. Carroll is originally a northwest native. Outside of his office hours, he enjoys spending time with his family, travel, the outdoors, film and photography.